STUDENTS, do you want to work with horses and have a career in the horse industry? And let me guess, your parents think you're crazy! 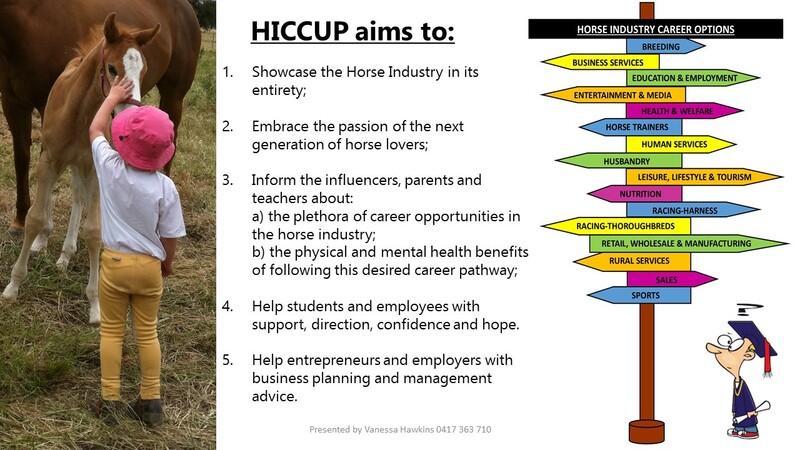 PARENTS & TEACHERS, do you have a child who wants to work with horses and have a career in the horse industry? And let me guess, you think they're crazy! EMPLOYERS, do you have trouble getting and keeping staff? That's an even bigger HICCUP! Well, we're here to help you overcome these HICCUP's with some constructive ideas and solutions to help you address these challenges.